At SG Media we take beat up photos and restore them to their original glory. Whether it's a old cracked photo from the 1940s, or a photo of grandma that got chewed by the dog, every restoration is a high-stakes business project where a worthless photo is brought back to life. We have been restoring photos for Singaporeans from all walks of life since 2006. It does not matter if it is for a museum’s collection or for someone’s late granny, every project is important to us. However, these restorations aren´t easy. Every project presents unique challenges for SG Media, and we have developed inventive processes to finish each job flawlessly and on time. 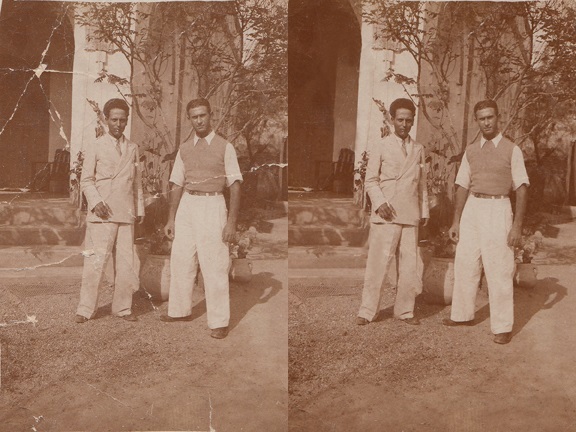 The photos we restore are part of the fabric that makes up our culture. Digitalising old photos ensure that they survive for another generation and your kids, and your kid's kids will appreciate where they came from, and the legacy their parents left for them. Our service includes scanning and digital restoration. Clients will get a high resolution soft copy.